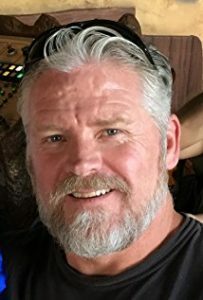 Lew Knopp is a proud American, former United States Navy SEAL, entrepreneur and CEO of a multi-disciplinary global risk management and specialty services firm entitled Templar Titan, Inc. He currently serves as the Chairman and CEO of Templar Titan, Inc., Titan Development Group, LLC, Cyber Titan, LLC, All-American Services and Global Matrix Solutions Group. Lew’s companies have architected numerous successful recoveries, life support humanitarian and direct-action services and solutions to the afflicted globally; this includes multiple Humanitarian Aid/Disaster Response (HA/DR) engagements, recovering personnel and assets, protecting high net worth individuals, Fortune 500 Companies, governments, entertainment professionals and foreign dignitaries. At home, Knopp’s companies have made significant contributions to the recovery efforts of Hurricane’s Katrina, Ike, Gustav Sandy along with the post 9/11 recovery efforts at the World Trade Center site.